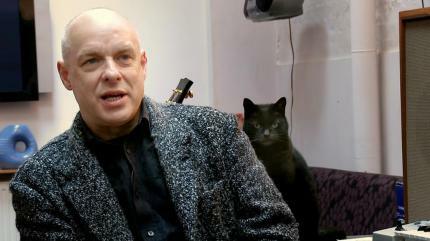 Don’t displease Brian Eno’s cat. Come to the four excellent talks at December’s Southern California Algebraic Geometry Seminar at UCLA. Talks are in Mathematical Sciences Building 6627. For information on parking, please register. Photo is a still from The British Guide to Showing Off via Hero Culte.